Gambling is more popular than one might think. About 73% of adults in the UK gamble at least once per year. That’s not to say it is a bad thing. For most of individuals, gambling and gaming are simply fun and sociable activities which actually enhance their experience. Some people go to Vegas for an action packed holiday, whilst others get together with friends for a laid back game of poker. In the last few years the internet has brought casino games to our doorsteps. People play online games to pass the time as well as take advantage of fun cash incentives. For the most part, people play responsibly and gaming does not have any kind of negative impact on their lives. However, for a small percentage of the population, gambling can have an adverse effect with serious repercussions. If left ignored and untreated, those suffering from gaming and gambling addictions can be faced with serious social, financial and health consequences. Gambling is an activity in which somebody bets money (or something of value) on the outcome of an event in which the probability of winning is not certain. 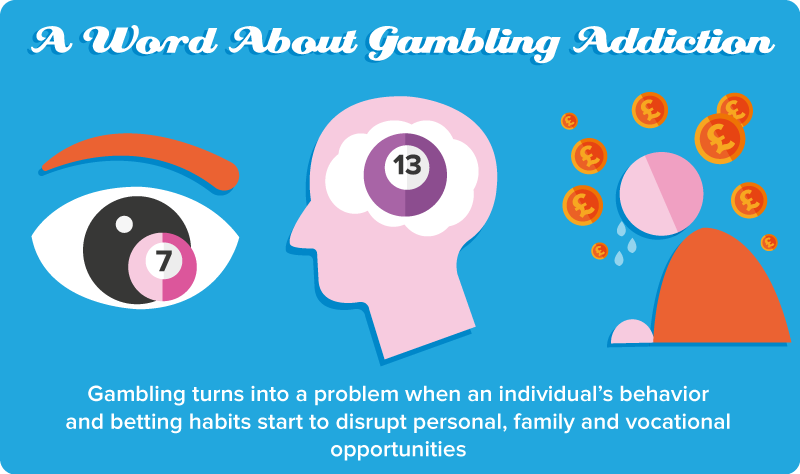 Gambling turns into a problem when an individual’s behavior and betting habits start to disrupt personal, family and vocational opportunities. Those who ignore these adverse effects and continue to gamble, lose control over their gambling and crave even more opportunities to gamble are likely suffering from gambling addiction. Statistically, gambling addiction affects around 1-3% of the population, particularly adolescents, university students, casino employees and some minority groups. Furthermore, it is not just your typical casino game that might become problematic for a pathological gambler. 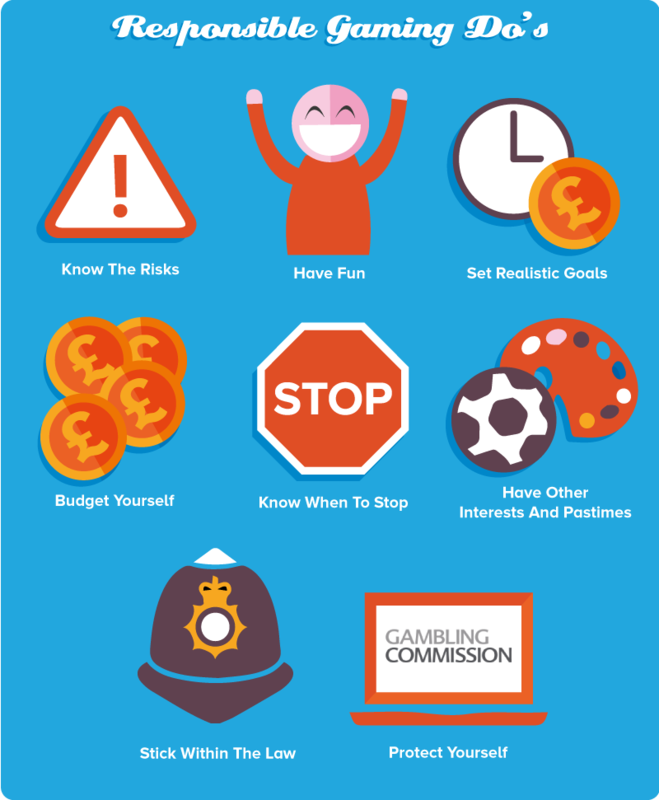 Whether you or somebody close to you chooses to gamble, it is important to understand that gambling comes with serious risks. Fact of the matter is, the majority of people lose when they enter the lottery, play a casino game or place a speculative bet. So long as you keep this in mind and don’t let your life or circumstances depend on your game, you should be safe. Ultimately, gambling and gaming are leisure activities and should be treated as such. Treat your game time as a time to unwind and release those daily stresses. By focusing on the enjoyment of the game itself rather than the outcome, you will have a fun experience, no matter what! Many people who develop a gambling problem think it is only a matter of time until they hit the jackpot. When push comes to shove, gaming establishments and casinos are set up to rake in more money than they pay out. That is not to say you cannot win, but over time, you will likely lose more than you earn. The same goes for the lottery and other such games. With odds that are sometimes a million to one, only a tiny amount of people win compared to the huge majority that will lose. Therefore, it is best to enter a game understanding that your chances of winning are small, and if you get lucky, well that’s an added plus! Before playing any game of chance, you should always decide how much money you are able and willing to lose. This amount is called a ‘loss limit’ and it should be treated as the cost of entertainment, in the same way that you would budget yourself for a trip to the theatre or a weekend break. Once you have lost your loss limit amount, call it a day. If you are lucky enough to win, remember that it most likely won’t happen all the time. Responsible gaming basically means staying in control of the amount of time and money we spend on our games. As mentioned above, you should always stop when you reach your loss limit for the day. Feelings are also a great gauge for knowing when to put your game down. If at any point you start to feel tired, anxious, remorseful, irritated or any other type of negative emotion this is a surefire sign that it is time to stop or take a break. Likewise, if duty calls, such as work or family, always put these before your game. Ironically, if you ever feel like you can’t stop playing, this is a definite warning sign that you need to stop immediately! Gaming is a fun leisure activity but in order to keep a healthy balance, you should also have some other interests that do not involve gambling or games of chance. If you enjoy other activities, such as sports, socializing or the arts, then gaming won’t be the be all an end all, plus your friends and family will be happy to see more of you! This might seem obvious, but don not gamble in jurisdictions where it is gaming is illegal. Reputable and licensed online casinos and gaming websites stick within the laws of the countries in which they operate, plus they block their platforms to countries where gaming is not allowed. In other words, you might be able to visit the site but you will not be able to play. Note that gambling laws apply to both online and land based games! 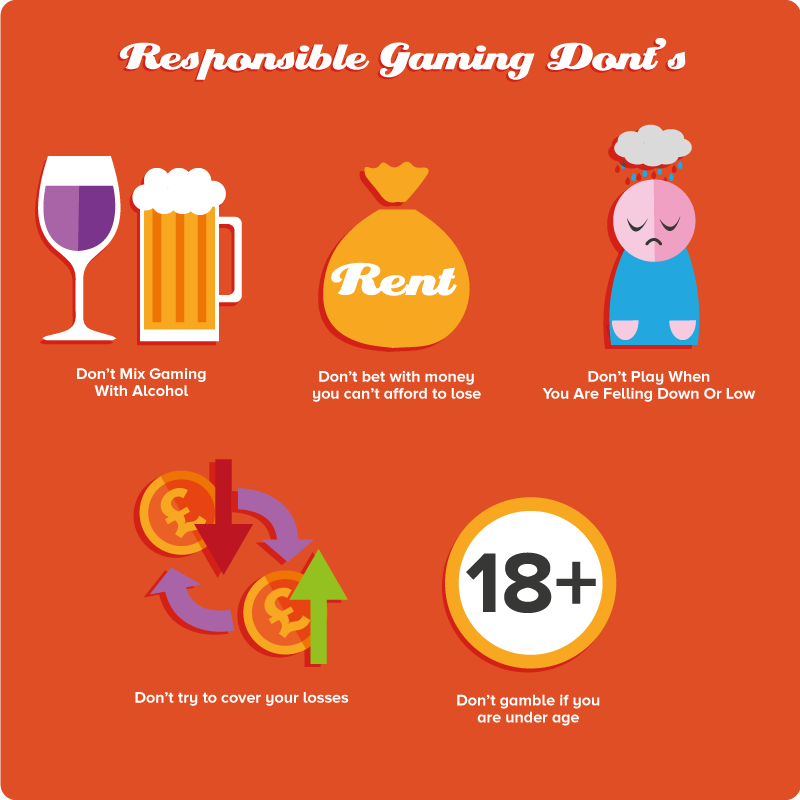 Responsible gaming also means protecting yourself from fraudulent websites and gambling rings, or other such scams. To stay safe, only play with reputable sites that are licensed by a recognized gaming regulator such as the Great Britain Gambling Commission. Your money will also be safer with reputable sites. Gaming operators that are not recognized may withhold your money or even steal your credit card information. It is also important to protect yourself from fellow players. Whilst player interaction and online chat is encouraged, never give out your personal information to strangers that you meet in chat rooms! In today’s world of online and mobile gaming, it is easy to spend hours alone with your favourite game. If you are planning to gamble online, try to include games that are more sociable such as bingo or poker where the emphasis is more on interaction and fun. In a bingo chat room, for example, you have the opportunity to talk and laugh with other players. When you are having fun you won’t take the game so seriously and other members can provide support. Of course, always remember to stay safe and never give out your personal information to strangers. Gambling and drinking often go hand in hand. However, this often leads to people making poor decisions that they later regret. If you keep a clear head whilst gaming or gambling, not only will you play better, but you will also be in control of your actions. Furthermore, it worth noting that people with gambling addictions have many similar experiences as those with alcohol and drug addictions. Therefore if you have addiction issues in any other areas, it would be best to stay well away from gaming and gambling. This is one of the most important rules of responsible gaming! Never play with money that you need for important things such as rent, bills, schooling, etc. Gaming is meant to be fun, just like going to the movies or going out with friends. Therefore it should be treated as such by not spending more time or money than you can afford to lose and by putting all other responsibilities first and foremost. When we are feeling depressed, angry or upset, our judgment is impaired (just as with alcohol or drugs). Regular gamers should be aware of their mental and emotional state when playing. What may start out as a fun and innocent past time, could turn into a form of emotional or mental escapism with players attempting to run away from bad relationships or work pressures. In more severe cases, gamblers may attempt to escape from anxiety, sadness and other troubling thoughts or symptoms of mental illness, whereby gambling will only exacerbate the problem, thus turning it into a precarious catch 22 situation! Covering your losses is when you continue to gamble in order to win back money that you have lost. This is also referred to as ‘the chase’. The chase is when there is a false belief you are bound to win at some point, so you keep on spending money that you keep on losing. You might say to yourself that you will stop playing when you win big or when you have recovered your losses. This is a dangerous and vicious cycle that can plunge you into debt, anxiety or worse. In order to protect yourself from the chase, never exceed your gaming budget and stop playing the moment you feel the urge to cover your losses! Young people who are not of legal age to gamble are at higher risk from gambling and developing problematic behaviors. In a national study, it was estimated that almost 70 percent of Americans from the ages 14 to 19 years gambled in the last year! They bet money on poker, sports, the lottery as well as various other games. Furthermore, around 75 percent of US college students gambled in the last year, where estimates of gambling disorders among young people ranged between 2 to 7 percent, and something like 6 percent of college students have a serious gambling problem. The numbers are no less staggering in the UK. Therefore, it is imperative that parents and teachers always keep a close eye on their children’s activities. Do you become anxious or irritable when trying cut down or quit gambling? Do you ever try have to keep your loved ones from knowing how much you spend on gaming?